There are lots of interesting instruments out there, not just guitars. 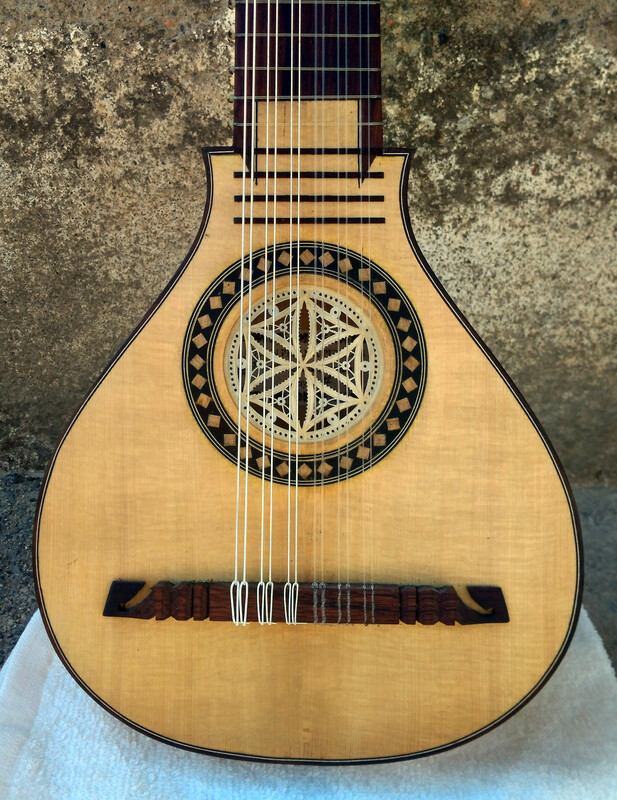 Always moving between the philological and the modern concept, I’ve made ancient and modern guitarrons (Catalan Countries treble guitars), baroque bandúrria, some hurdy-gurdies, some tambor de cordes (similar to tambourin du Béarn or Aragonaise chicotén)… Here I’m showing some of the non-guitar instruments I make more or less frecuently. All the instruments will be given strung and with a semi-rigid case. All prices are without taxes. This instrument is based on one made in Barcelona by the circle of Joseph Massaguer the elder (1711-1768) kept on the Museu de la Música de Barcelona with number MDMB0118. 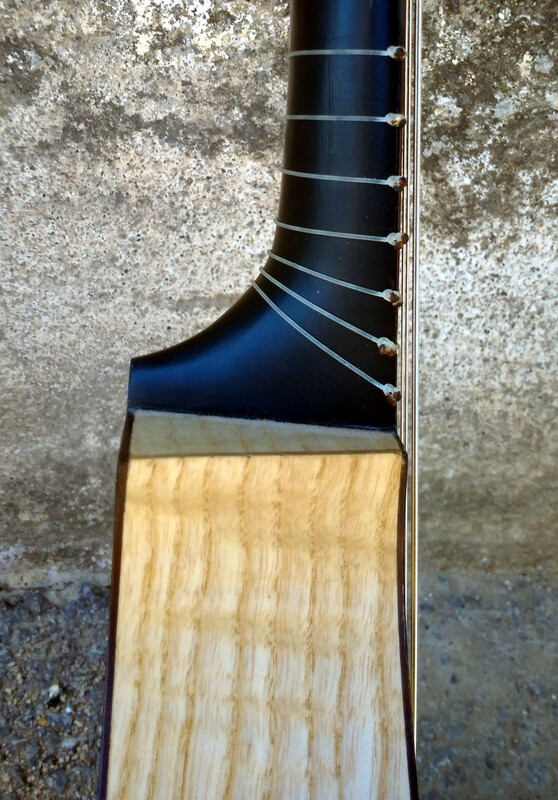 Cypress and walnut soundbox and cedar neck dyed in black with historical dye recipes. String lenght: 500 mm (in A). Price around 2100 €. Based on bandúrries made in Barcelona by Joseph Massaguer the elder (1711-1768). Maple, rosewood or a combination of walnut and cypress soundbox, and cedar neck dyed in black with historical dye recipes. String lenght: 298 mm. Price around 2500 €. 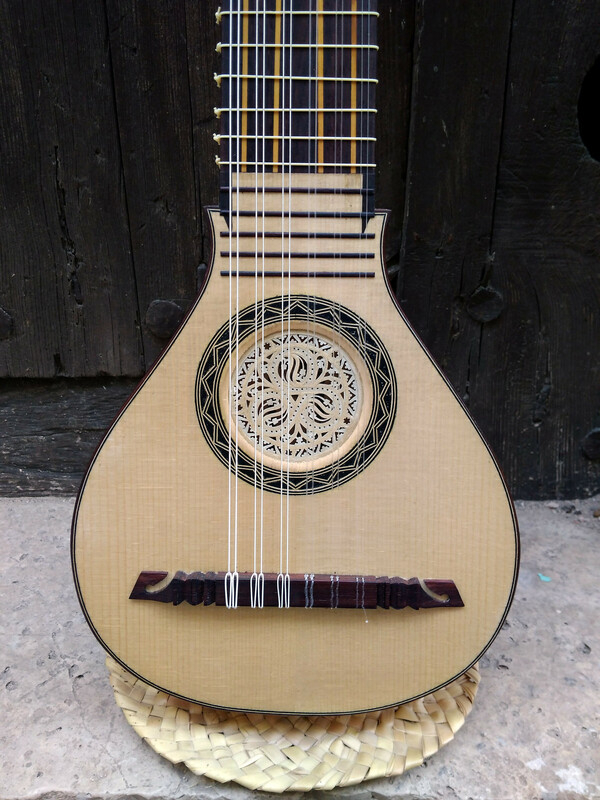 Non-historical guitarrons I make are based on the one that was played at the beginning of the 20th century in the rondalla (folk plucked string instruments band) from Prat de Comte (a small town near were I live). 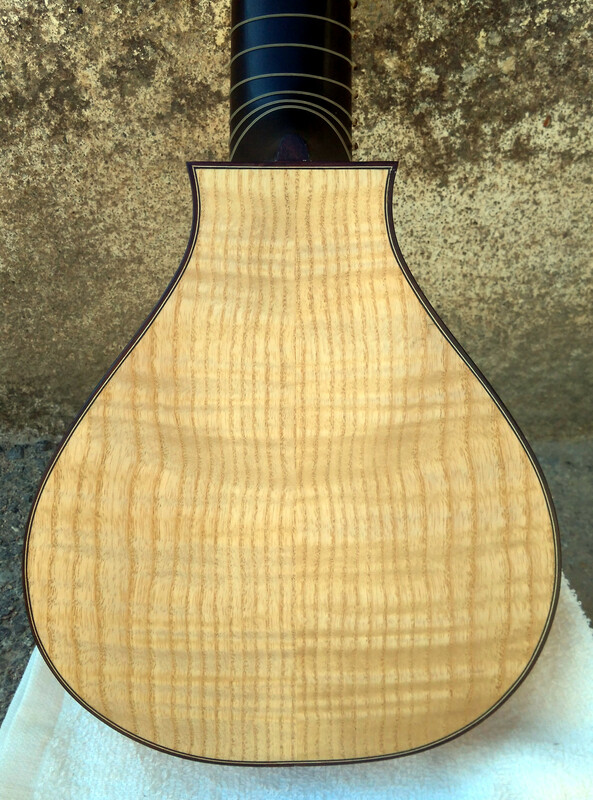 Cypress, rosewood, ash or fruit woods , and cedar neck. Can be strung with five simple strings or with the three central courses being double. 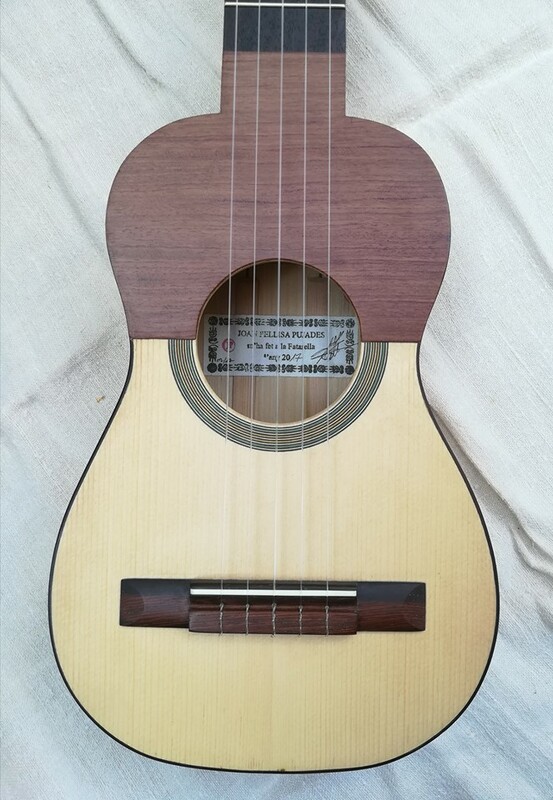 I offer two guitarró models, a basic one with traditional bridge (without bone) and oil protected soundboard, and another more elaborated with modern bridge and varnished soundboard. Both models have wooden pegs. String lenght: 500 mm (in A). Price around 850 €.